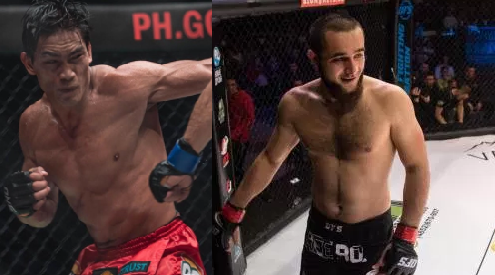 Team Lakay fighter and former ONE Lightweight champion Eduard Folayang will comeback to face the undefeated hard-hitting Russian Kharun Atlangeriev on May 15th in Singapore. Eduard Folayang is 34 years old from Baguio City Philippines, former ONE Lightweight world champion and has a record of 18 wins with 5 losses. Folayang defeated the legendary BJJ specialist Shinya Aoki of Japan in 2016 to win the ONE lightweight title, after that, he successfully defended it one time against EV Ting via unanimous decision after he was being knocked out by Martin Nguyen last November of 2017. Folayang however still wants to continue his career and wants to reclaim and become a world champion again. Meanwhile his opponent, Kharun Atlangeriev is a dangerous undefeated Russian with a record of 11 wins with no defeats, the AKA Predator knocked out 5 and submitted 5 of his opponents. Atlangeriev is came from Octagon Fighting Sensation. This will be his first time to fight with ONE Championship.